Secondary Containment –heavy duty, seamless coating systems protect the environment from hazardous materials or accidents, protecting metals from corrosion and the ground from erosion. 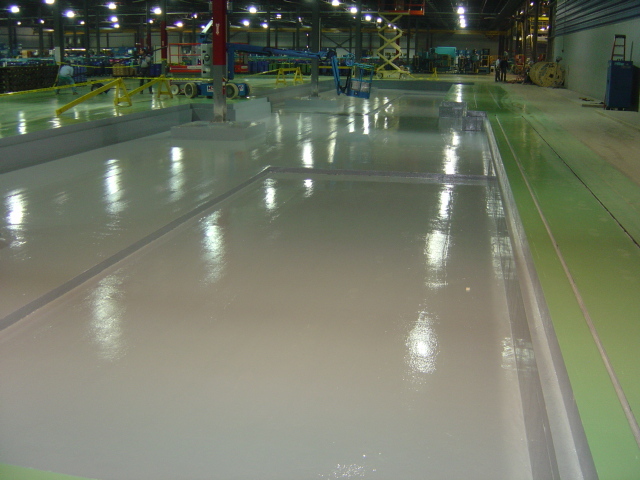 Surface Solutions installation experts can install chemical resistant flooring systems for every area of the processing facility. “This project gives us a chance to show our versatility. We not only protect concrete floors but also concrete curbing, with the right products and techniques needed to resolve our customer’s curbing issue.” -Amy Manghelli, President of Surface Solutions, Inc. Surface Solutions is called in to protect a chemical plant’s concrete curbing in Cincinnati, Ohio….